Classic rock people, grab your readers. You just might want to check this out. It’s time to let you in on what may be one of North Carolina’s best kept secrets. Rich Lerner & The Groove have been around since the year 2000, have released four albums, and before that Lerner released four solo albums. To be this good and to fly under the radar for that long is no easy feat. So it’s time for smoke signals, Morse code, or maybe just a feature on a music website to get the word out. 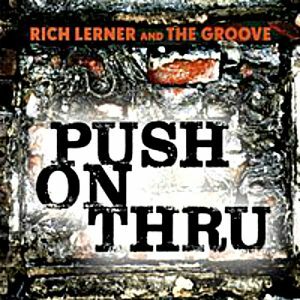 Part jam band, part southern rockers, Rich Lerner & The Groove have just released ten songs on an album called Push On Thru. The album starts off with the title song, “Push On Thru.” A little funk, a little swamp. Crisp vocals and a tidy blend of instruments that comes along with experience and a good feel for your musical road. “She Kept My Room Warm” is filled with depth of harmonies, it’s a non-ballad love song with just the right tempo and feel. “It’s Always Something” cranks up the rockin’ a notch or two. A little early Mellencamp-ish vocal but bluesy, southern guitar work. Very fun. “Lord Have Mercy” takes you to a southern juke joint. 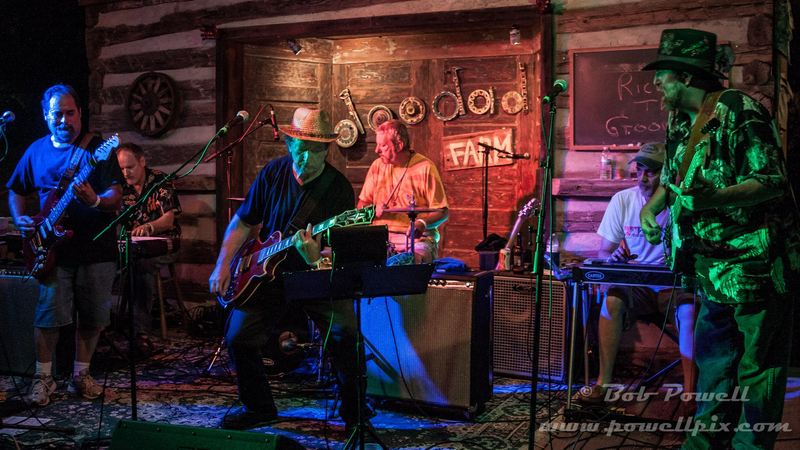 Delta bluesy, it conjures up a smoky dive bar where the masters of the blues once held court. Great arrangement and some damn good musicianship. “Love Monkey” is a little slower, a little funkier. Again, as with every song, there are layers of melody that are wonderfully crafted. “Soul Sistah” offers a touch of country, more Texan southwest than full twang. “On The Mend” is a slow melancholy song, and while the overlay of instruments is nicely done, it drags down the album’s pace a little. Lyrically, added points for the ”I looked the Grim Reaper in the eye, and I told him…nice try “ line. “West LA Fadeaway” brings back the jam band sound. Soul and funk yes, but that rock guitar is never far away. If there’s one criticism of the album is it seems a little too under control. These are really good musicians and honestly, I would have love to hear them kick it all the way out. “West LA Fadeaway” gives you an idea of where they can go and what their live shows must be like. Quenching my thirst for that raw, purer sound, the album ends off with a blistering acoustic rendition of “Lemonade Blues.” It’s dusty and sultry and pours out old time Delta. It’s sitting on the front porch blues that leaves you quenched but still thirsty. 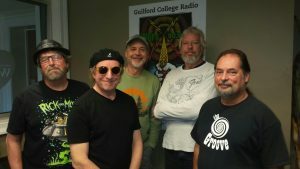 Along with putting out some very fine music, Rich Lerner & the Groove have, for the past five years held a music festival/food drive/fundraiser in Greensboro, North Carolina. Groove Jam VI is scheduled for September 16, 2017. It sounds like a blast, with great music and even better intentions. Check out the info on it here. If you like manufactured sound, this album isn’t for you. And, if you like uncomplicated, mindless background music, this album isn’t for you. If you can appreciate seasoned musicians who play with depth and soul, you might want to give it a listen. Maybe more than one.